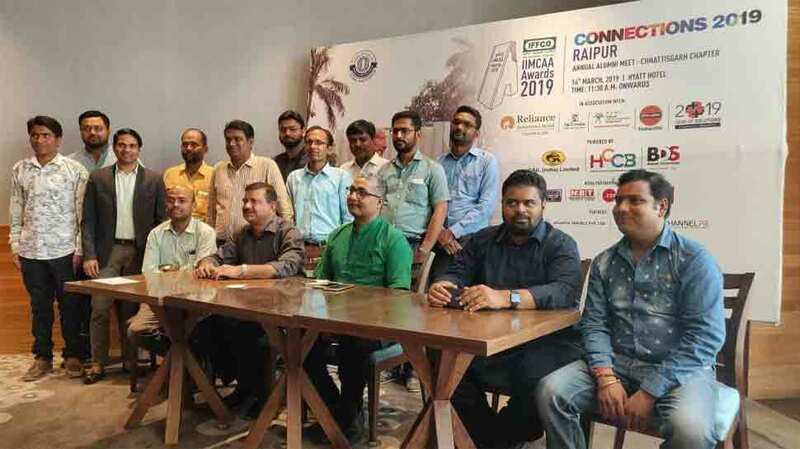 Raipur: The annual meet connections of Chhattisgarh and Rajasthan chapters Indian Institute of Mass Communication Alumni Association (IIMCAA) were organised in Raipur and Jaipur. IIMCAA, which is the largest mass media training institute in the country, is organising alumni meet for its students in 21 different cities in India and abroad. Giving details about the year-to-year expansion of the institute, IIMCAA general secretary Ritesh Varma said that this year, connections will be organised in at least 21 cities. The Jaipur meet was addressed by chapter president Amrita Maurya. In the meet, the new executive committee of the Rajasthan chapter was formed in which Amrita Maurya was re-elected as the president. In the newly-formed executive, Sachin Saini was elected as the vice-president, Madhav Sharma as general secretary, Ankit Dhaka as secretary and Gunjan Jain as the treasurer.